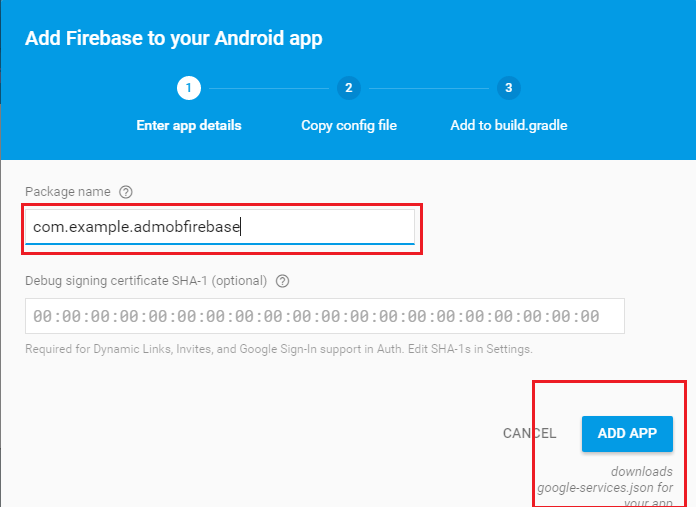 First of all, you have to know that using AdMob with Firebase is optional, at least for now, and you can still integrate AdMob by importing compile ‘com.google.android.gms:play-services’ (like in this tutorial). But even if it is optional, it is recommended, as it brings all services like AdMob, Analytics, crash reporting and other services together in just one place. Before we start, create a new project with an Empty Activity template. After the project is created you should have MainActivity.java class and activity_main.xml file in res folder. We will refer to these later in the code. This file is mandatory for your project to compile. If google-services.json file is not added to your project, you will get the following error when trying to sync App-level build.gradle. Error:Execution failed for task ':app:processDebugGoogleServices'. > File google-services.json is missing. The Google Services Plugin cannot function without it. 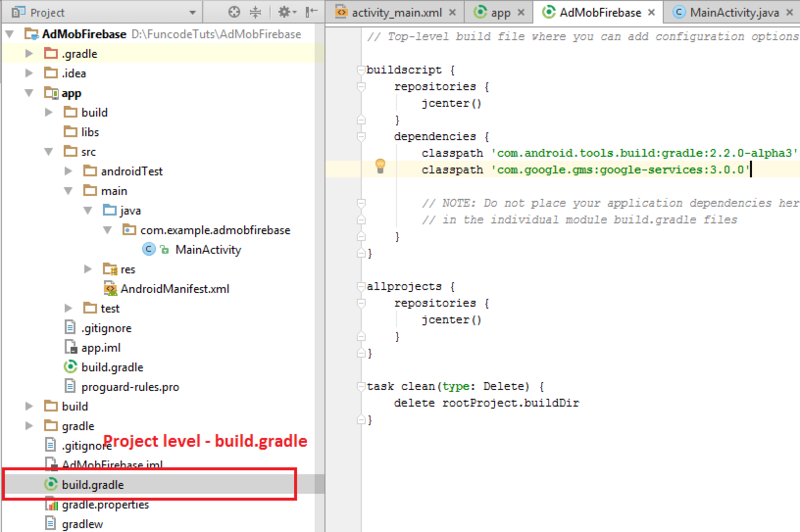 Now, tap on Sync Now to sync gradle. Tap on Sync Now to sync gradle. 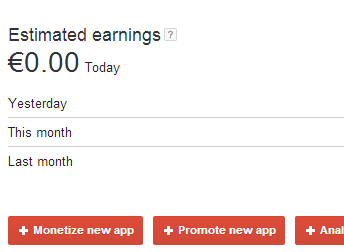 go to AdMob site, click on the Monetize New App button and add your app. 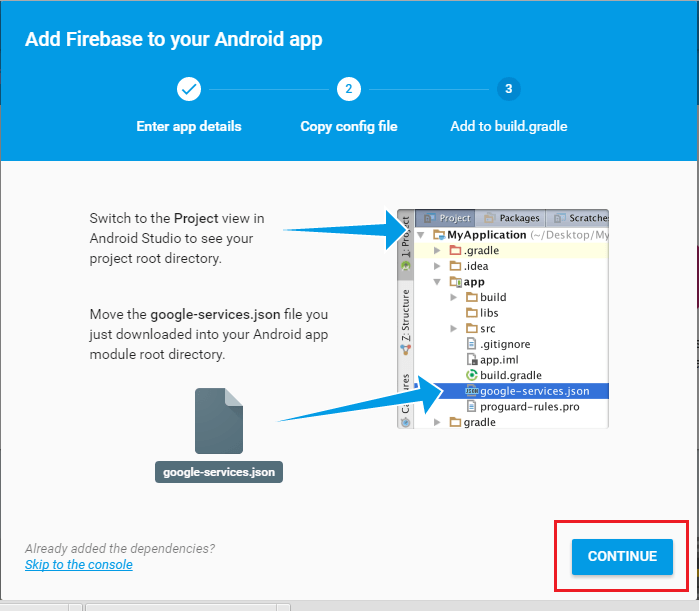 If you want to can link the app to Firebase from here. But you can skip an link it later like shown in this tutorial. after you add your app, on the Monetize page, you should find your project on the left. Click on it and you will see your Unit ID. Unit IDs have the form ca-app-pub-XXXXXXXXXXXXXXXX/NNNNNNNNNN. Now, just copy it from here and paste it into your activity_main.xml file. YOUR APP ID is different from Ad Unit Id. Application IDs have the form ca-app-pub-XXXXXXXXXXXXXXXX~NNNNNNNNNN and can be found on your AdMob account page by clicking the Settings icon – App Management. It is very important to run the ads in debug mode on your own devices, in order to avoid being disabled for clicking your own ads. So, to get your device ID, you have to run your application on the DEVICE in debug mode and wait for an ad to load. Then go to logcat output and search for the ID. It should be at Log INFO like in the picture below. You can add as many devices as you want. 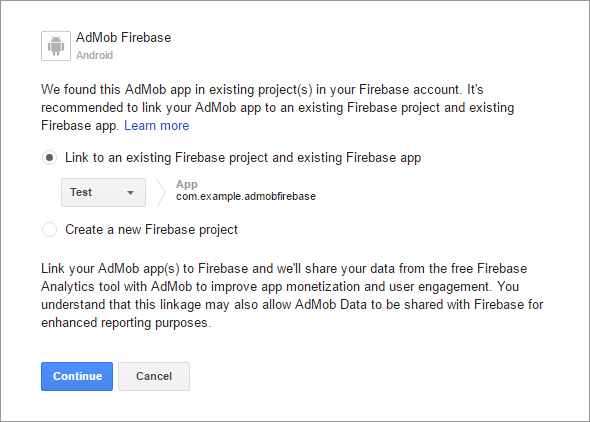 If you want to see Firebase Analytics information in AdMob you have to link your app from AdMob account with Firebase project we have just configured earlier. 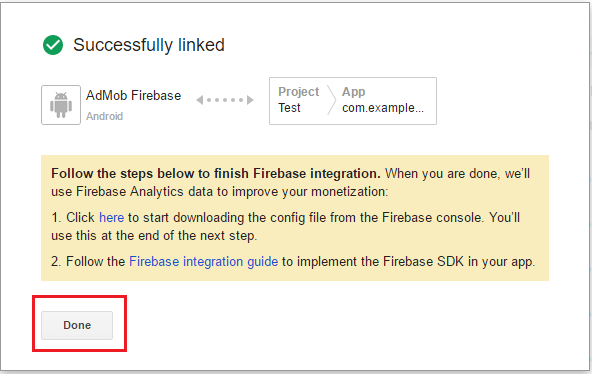 In our example we let the first option to be enabled (Link to existing…) as we got an error that we cannot create a new Firebase project due to limit exceeded (even though we only have this project). Click the Continue button and done.